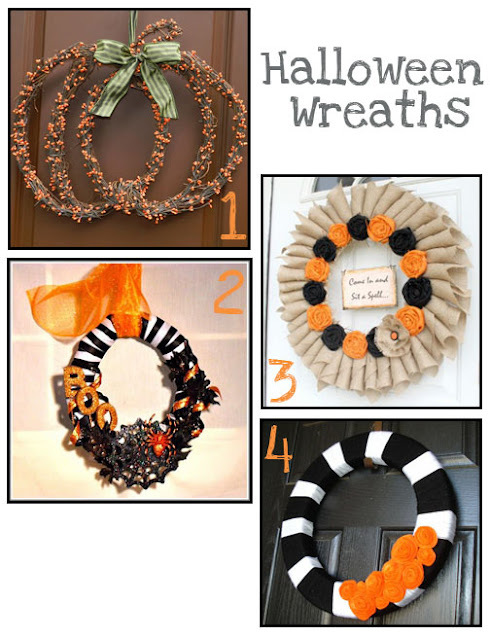 I love wreaths. I only have a christmas one right now, but I love all the new fun yard wreaths that are out there now a days! I really wanna try and make one (it might be too late for Halloween... maybe for Thanksgiving) but here are some really cool ones I love!